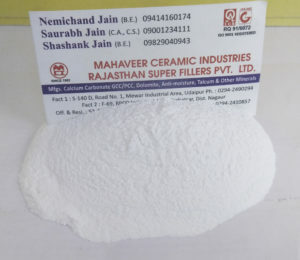 The Above Grade of Talc Powder For Polishing For Pulses for Pulse polish with 96% above Brightness and smooth powder giving shiny feel to pulses (Dal). Owing to our countable experience of the industry, we have been able to offer a range of Talc Powder For Polishing For Pulses. This powder is formulated under the strict vigilance of deft professionals who utilize accurate composition and authentic ingredients in the formulation process. This soft rock is easily carved and has been used to make ornamental and practical objects for thousands of years. It has been used to make sculptures, bowls, countertops, sinks, hearths, pipe bowls and many other objects. we Manufacturer & Supplier of Talc Powder For Cosmetic Industry in Udaipur, Rajasthan, India. It is an important filler material for Cosmetic.It is a mineral composed of hydrated magnesium silicate with the chemical formula H2Mg3(SiO3)4.These are widely used in various industries such as pharmaceutical, cosmetic, paints, paper, plastic, ceramic, soap and detergents. Talc is an important industrial mineral. Additionally,our company’s Talc Powder range is available at most reasonable prices in a variety of packaging options.